Jonah Hill has been an established actor in Hollywood for the past 10 years known mostly for comedies like Superbad (2007), Cyrus (2010), 21 Jump Street (2012), and The Wolf of Wall Street (2013). 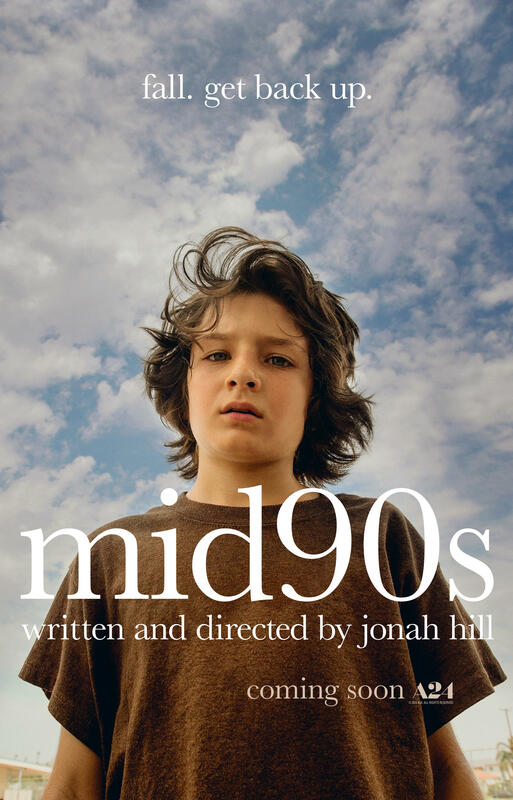 Mid90s is Jonah Hill's first time as director and screenwriter of a full-length feature film, and it completely transported me. When a 13-year-old boy (Sunny Suljic, The Killing of a Sacred Deer) is frustrated with his bullying older brother (Lucas Hedges, Manchester by the Sea) and promiscuous single mother (Katherine Waterston, Alien: Covenant), he flees his troubled home life and finds camaraderie in a group of aimless teenage skateboarders partying and wandering in the working class neighborhoods of Los Angeles. You can probably guess in what decade this movie takes place...the mid-90s! From the baggy jeans to the portable CD players to the Ralph Lauren polo shirts, the film's attention to detail contributes a lot to the authentic urban world of Los Angeles painted as a sunny, smoky, and sweaty jungle gym. This film will stay in the heart of every viewer, though, because of the raw, yearning, energetic performances by a group of young, unknown actors. With brilliantly simple dialogue, our protagonist navigates the facets of friendship, discipline, trouble, and most important of all for teenage boys, being cool. A vivid and wild story of growing up with a keen view of the skateboarding subculture.